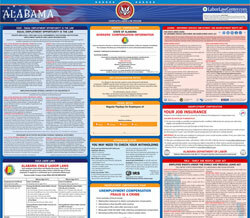 The Human Trafficking is a human trafficking law poster by the Alabama Department Of Labor. This is an optional poster, so while it is recommended that you post this if it is relevant to your employees, you are not required to by the Department Of Labor. This poster is optional to post and describes who the victims are for human trafficking, where human trafficking happens, and who to contact to get rid of it. It appears you don't have a PDF plugin for this browser. Please see the link below to download alabama-dir-nhtrc-flyer-english.pdf. and it’s happening right here in the United States. request training or technical assistance, or receive referrals. Services (HHS ). Its contents are solely the responsibility of the authors and do not necessarily represent the oﬃcial views of the Anti-T raﬃcking in Persons Division, Oﬃce of Refugee Resettlement, or HHS.